USDCAD is falling down the descendant channel in the neutral zone remaining bearish for now. Last week the EMA of 10 met the EMA of 50 but as the market opened the EMA of 10 moved below the EMA of 50 showing the price decline. 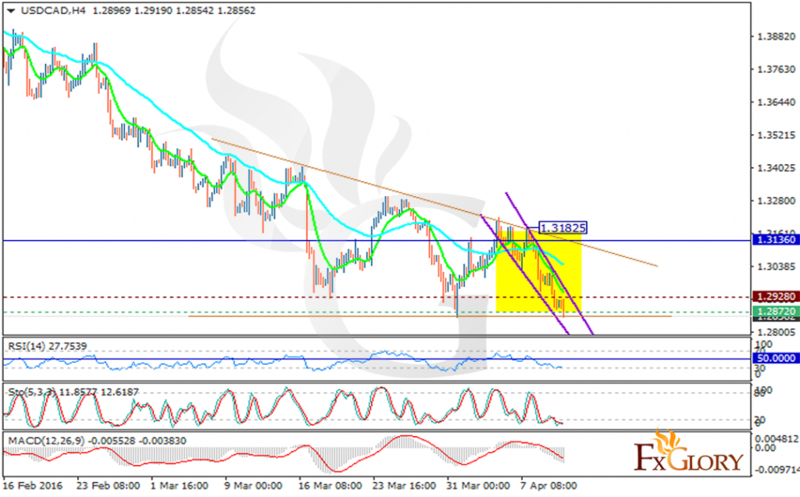 The pair is finding support at 1.28720 with resistance at 1.29280 which both are below the monthly pivot point at 1.31360. The MACD indicator is in negative territory creating a good opportunity for seller along with the RSI below the 50 level which confirms the same theory. The stochastic is also signaling sell opportunities. Short positions are recommended targeting 1.2825.